Please introduce yourself. What is your role at Dreadbit and on your upcoming Xbox One title, Ironcast? My name is Daniel Leaver, and I’m the founder and designer at Dreadbit. I came up with the design for Ironcast and helped develop it! So sell it to us. Why should Xbox One gamers buy your game? 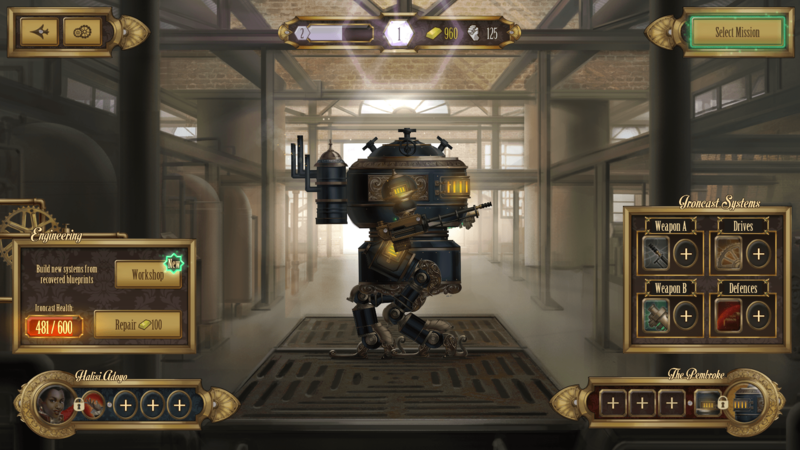 Ironcast is a game about steampunk mechs fighting to defend Victorian England from the French! Its gameplay is a mixture of Puzzlequest meets FTL, so if those two games appeal to you in any way, you should give it a try. Where did the idea for Ironcast come from? Why did you choose to set the game in an alternative Victorian era? I love the Victorian era! Everyone’s dressed so beautifully but the world around them is industrial and covered in soot. 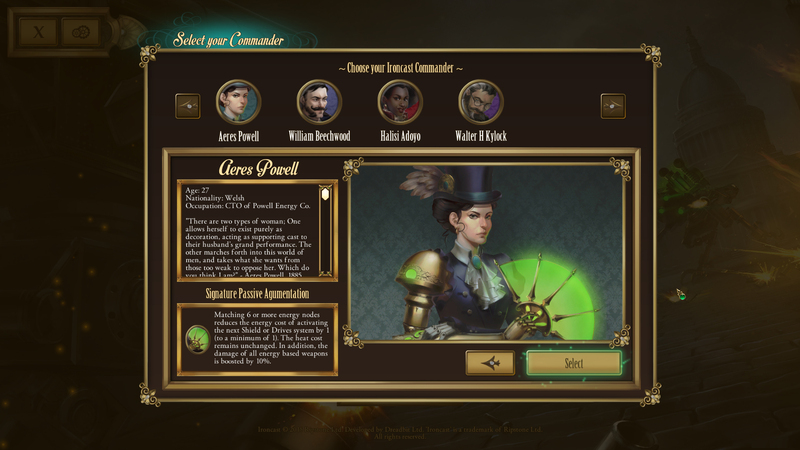 I just loved the idea of these steampunk mechs being commanded by posh (but badass) ladies in a bonnet. It just speaks to me! How many different Mechs, weapons and defensive systems will we be able to get our hands on? There are 4 different Ironcast mechs, 4 commanders and about 70 different weapons, defensive systems, powerups and passive abilities in the game. There’s a lot of variety and a bunch of different mech builds you could attempt to save Britain with. How difficult was it to find a decent balance between the attacking prowess of the Mechs and their defensive capabilities? It wasn’t THAT hard actually. I use a lot of spreadsheets to mock up a fight, and generally ensured that a Mark 2 weapon could always do SOME damage through a Mark 2 shield, to ensure the pressure’s always on. Then, once we entered testing, we had a bunch of data automatically streaming back to us about our players; what their favourite weapons are, which passive abilities they never pick, etc. How deep is the strategic side? Will we need to get our thinking caps on? 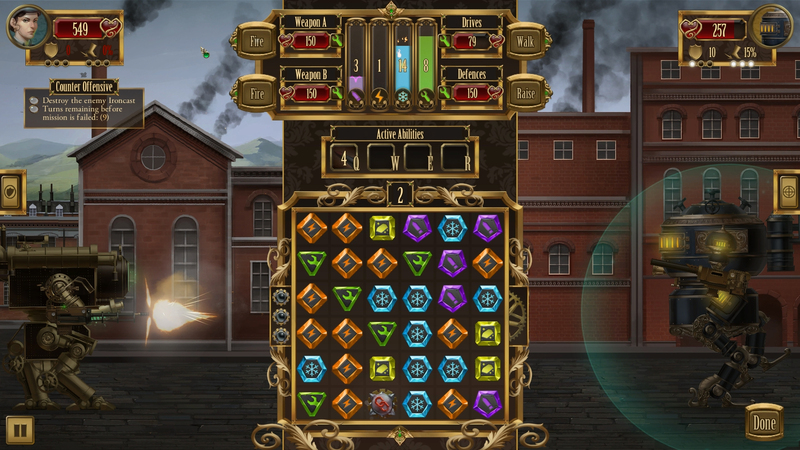 Ironcast is more of a turn based strategy than a match 3 game. The matching is there to trigger those little brain switches that give you a burst of satisfaction when you match a 20 node pattern, but your shot at winning comes almost entirely from the strategies you use. Did you ever have any concerns about gamers dismissing Ironcast as ‘just another Match-3’ game? Of course! It’s something we always knew we’d be facing when we designed the game “It’s just Candy Crush!” etc. However, we knew the game wasn’t similar at all, and we should never let fear of unfavourable comparisons stop us making something we believed in. Else, Infinity Ward would never have made COD multiplayer (“It’s just another Medal of Honor, what’s the point?!”). With the game already out on PC, are there any extra features that will tempt Xbox owners into a second purchase? Is there anything different from the PC version? The main difference is how we handle our global unlocks process. Previously, when you die in a campaign (and you die a lot! ), your XP earned feeds into a really big XP bar that unlocks new commanders and abilities for use in future campaigns. However, on Xbox One we instead award the players with Commendation tokens, allowing them to spend them to unlock the abilities and systems they WANT in an order that suits them. 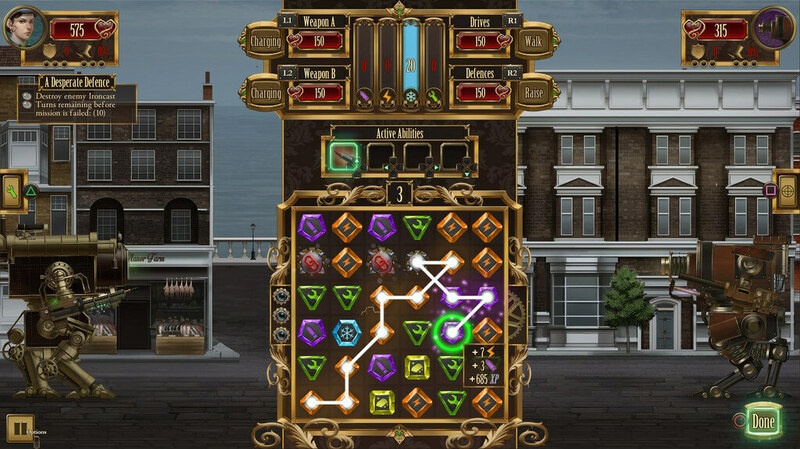 You must have had a whole ton of cool ideas that you wanted to implement in Ironcast but, for whatever reason, couldn’t. What was the one thing you had to drop that you really wanted to see in the game? Multiplayer would have been amazing; destroying your friends in turn based combat is something I’d always hoped to see in the game, but it’s just such a huge commitment of resources. We’d just not be able to do it justice right now. If you had to give one tip to a struggling Ironcast player, what would it be? Always invest in better shields first if you can. The less damage you take, the less you’ll spend on repairs, meaning more money left over for new exciting upgrades later. Multiplayer, especially the online side of things, is a huge deal in the Xbox world. Why does Ironcast deliver a solo only experience? Oh oops, already answered this one. But again, the important thing is about delivering quality. A multi-player experience is almost as much work as another single-player one, so with a team as small as ours it would have been a real risk to attempt. We instead decided to focus on a really solid single-player experience and really put our hearts into it. What type of achievements will we be hoping to unlock? Are they standard progression ones or have a few ‘fun’ cheevos been included for good measure? How many hours of gameplay will the average Xbox One gamers be looking to get from Ironcast? Well we’ve seen some players on PC complete the game in 5 or so hours, and others are still going at hour 50+! It’s no grand scale epic, but there’s already enough of those in the world with the Fallouts and Witchers! I’d suggest that players play the game for as long as they’re having fun and not a moment more. I am already humbled that people choose to spend their precious free-time in Ironcast’s world, and I like to think we respect their time in return with a really engaging game. If you were starting the whole development process of Ironcast again from scratch, would you do anything differently? Hmmm… not really. It seems very arrogant to say that, but it all went fairly smoothly and the game we ended up with was actually better than the original design! Is there anything else in the pipeline for Dreadbit? Should we be looking forward to an Ironcast 2? Defence. Then you can wait for your perfect moment to counter-attack! Many thanks go out to Daniel for taking the time to answer our questions. 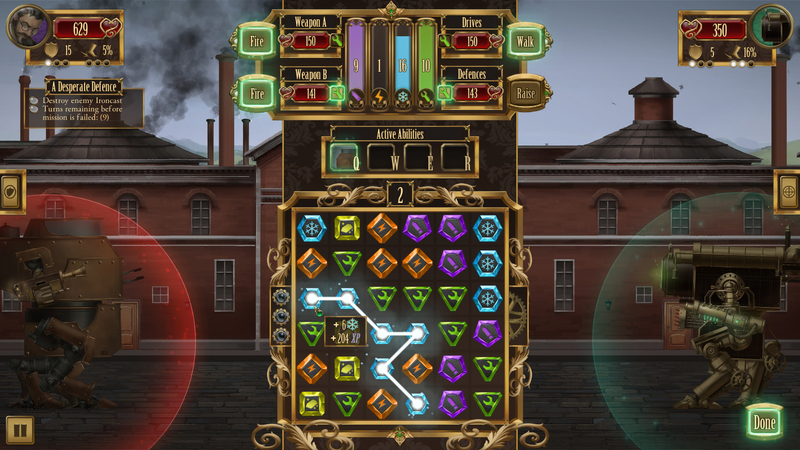 You’ll be able to pick Ironcast up on Xbox One from the 4th March 2016 and if you believe our review (which you really should), then you’ll want to be making sure you’ve got your wallet to hand. It’s rather damn good!